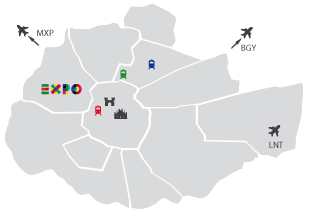 This section lists all the locations in downtown Milan, present within the circle of the ramparts. If you are looking for a location in the Brera area, this section offers an extensive list of facilities where you can organize events. Moscova is another central area of ​​Milan and numerous are the locations in the Moscova area suitable for hosting events of all kinds. Scrolling through this list you will surely find a suitable location for your event.